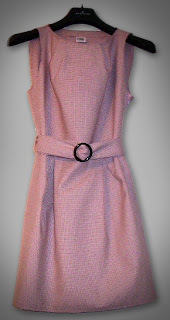 This cute dress has a simple line, especially designed to be warn with a black turtleneck and black tights. It was inspired by Audrey Hepburn, so when you'll wear it you'll feel like have breakfast at Tiffany's! The waist is accentuated by the belt, giving you an hourglass figure. 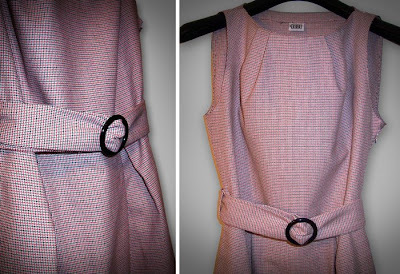 Also, the small details at the neck line and the waist, make this dress a little bit special. You'll be a little lady in it!